Enjoy lake life in this remodeled cape cod home. 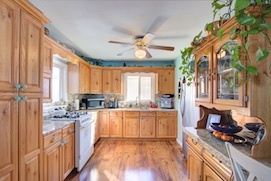 Enter into an updated kitchen featuring granite countertops with a tile backsplash. Stainless appliances will make you feel like a top chef in this kitchen. The kitchen flows to an open floor plan that provides serene views of White Lake from the living room, office or loft bedroom through the massive windows which reach the top of the vaulted ceilings. Cozy up to the cast iron gas fireplace on those cool nights, or relax in the hot tub. The master suite on the finished lower level walkout includes a dry bar, walk-in closet, living area, newly finished bathroom. The bathroom is complete with tile surround walk in shower and heated tile floor. Enjoy private views from the master bedroom through a newly installed picture window and sliding glass door that leads you out to the covered patio. 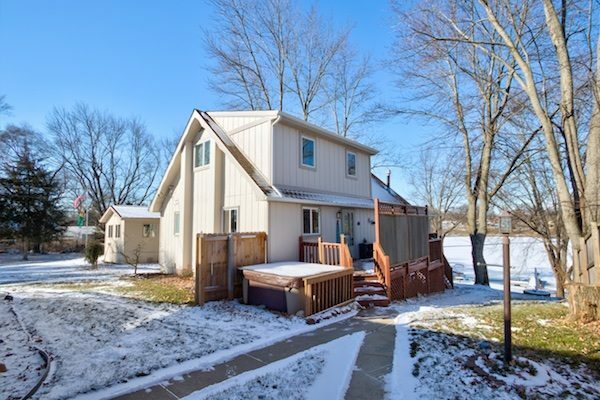 You and your guests will love the sandy beach, and there is plenty of room for them to stay over with bonus room above the detached, heated garage with WiFi. A garden shed with roll up door offers storage space for your lawn equipment while a waterfront shed offers storage for your lake and beach accessories. Additional recent upgrades include Bryant furnace for garage, Bryant furnace for the home, smart WiFi thermostat, carpet, flooring, and more. Beat the spring rush and come see 106 White Lake Drive in the Ann Arbor area real estate market today! You will be on the lake before you know it! Toth Team Worldwide Network has global aspirations and a growth strategy to meet the modern needs of clients around the world. Toth Team Worldwide Network is among the top one percent of REALTORS® nationally. They have been featured on House Hunters HGTV, and are proud to be the only trusted agent endorsed by celebrity Martin Bandyke on red 107.1. and the exclusive real estate agent for 102.9 W4Country. Toth Team Worldwide Network exceeds Client expectations while delivering top performance in the purchase or sale of residential real estate worldwide.